To make your custom widget deployment ready, locate it in the Web AppBuilder for ArcGIS default widgets repository: client\stemapp\widgets. This makes your widget part of Web AppBuilder. 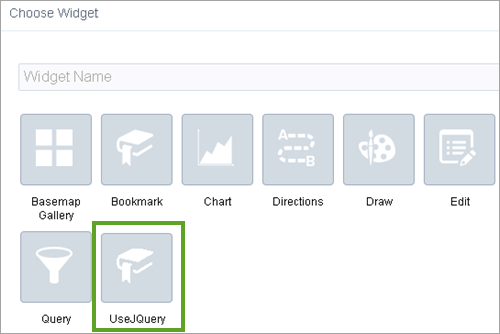 As an example, the UseJQuery widget is an in-panel custom widget that appears in the Choose Widget window when deployed from the widgets repository. To make the custom widget available for deployment to a specific app only, download the app, copy the widget to your app's \widgets folder, and edit the app config file to add the widget. Similar to the custom widget, to make your custom theme deployment ready, locate it in the Web AppBuilder default themes repository: client\stemapp\themes. 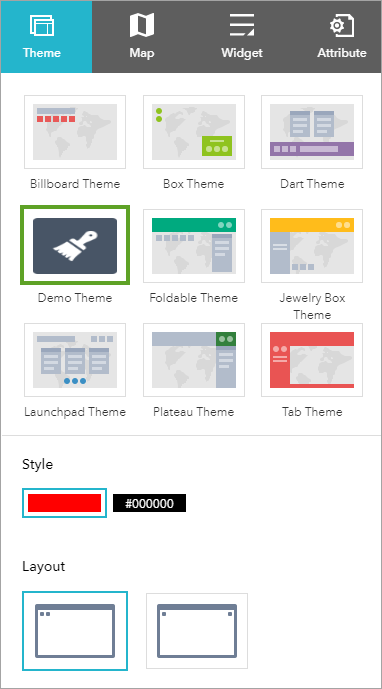 This makes your theme part of Web AppBuilder. As an example, a custom DemoTheme appears on the Themes tab when deployed from the themes repository. To make the custom theme available for deployment to a specific app only, download the app, copy the theme to your app's \themes folder, and edit the app's config file to add the theme.